One of the most basic distinctions in climate science is the difference between weather and climate. Weather is the instantaneous atmospheric conditions, such as rainy, snowy, sunny and so on. 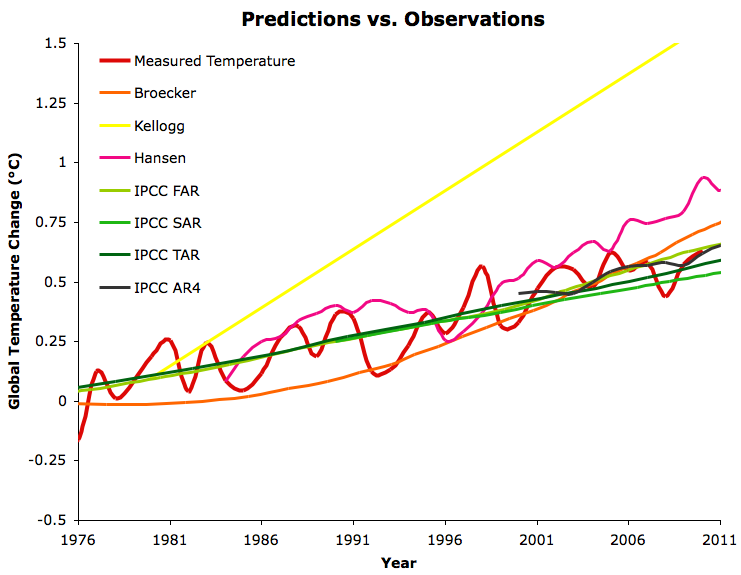 Climate, on the other hand, is about long-term trends. 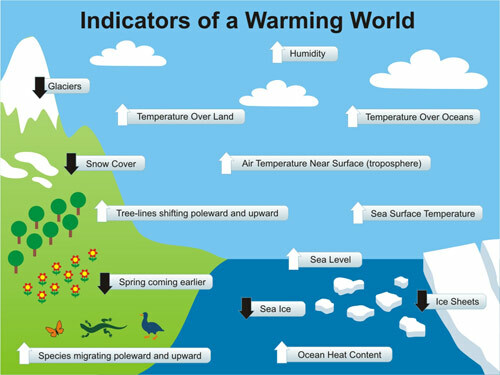 Confusing weather with climate, claiming that we cannot predict climate because we cannot predict weather, or trying to argue against the existence of human-influenced climate change by referencing current weather events is one of the most common tactic used by climate change denier. Contrary to Trump, the existence of local anomalies does not refute a general trend. More about the difference of weather and climate can be found on the NASA website. While the number of vaccines have increased over time, the number of immunological challenges (“antigens”) have decreased. This is because modern DNA technology has enabled researchers to include only those components that are necessary to produce a good response. In other words, vaccines poses a smaller challenge to the immune system now than it did in the past. For more information, see the Offit et al. (2002) paper in Pediatrics. Contrary to Trump, around a dozen well-designed scientific studies have shown that there is no relationship between vaccines and autism. For more information, see Gerber and Offit (2009). Donald Trump swings and misses again. The current vaccine schedule is well-tested because the FDA requires vaccine manufactures to show that the new vaccine they want to get licensed does not conflict with vaccines currently on the schedule (“concomitant use studies”). Alternative schedules are not well-tested and delays important protections. For more information about alternative vaccine schedules and their short-comings, see Offit and Moser (2009). In reality, this is not a major concern. According to the Department of Environment, Climate Change and Water New South Wales, it is already part of the assessments. The ground disturbance and vegetation clearing required for wind farms is minimal compared with coal mines and coal-fired power stations. If wind farms are decommissioned, the landscape can be returned to its prior condition. Potential impacts on the local environment (eg plants, animals, soils) are part of the environmental assessment for each wind farm proposal. Turbine locations and operations are often modified as part of the approval process to avoid or minimise impacts on threatened species or communities and their habitats. Any unavoidable impacts can be offset with conservation improvements of similar ecosystems which are unaffected by the proposal. Livestock appear unaffected by the presence of wind farms. Experience in Australia and overseas shows that livestock will graze right up to the base of wind turbines and often use them as rubbing posts or for shade. Studies indicate that the main human-induced threats to birds and other species are habitat destruction from land clearing, pet cats, buildings, cars, powerlines and climate change. In specific areas (eg bat caves) wind turbines may have significant impacts. The specific risks to birds and bats are considered as part of the development assessment and approval process. In the end, Donald Trump may be an expert on business, but his views on scientific topics like climate change, renewable energy sources and vaccines leave much to be desired. Thanks for writing this. Tump’s ignorance needs to be exposed. Maybe he should have spend more of his money on getting a better science education. You’ve created a great science blog, by the way. A lot of non-spam comments made on this blog tend to end up in the spam queue for some reason. I think I broke the learning aspect of Akismet last time I got a surge of Holocaust deniers / race trolls. So that explains why some of your comments didn’t get posted at once. That would explain it maybe. I expected to at least see that I had post it before you approve it through, since that’s the way it was the last few times. I tried to post it a second time for that reason, not sure if I had already posted it. ‘Climate Science’ is hardly worthy of the name. It must first be established that ‘Climate Science’ is capable of making accurate predictions and explaining observable phenomena in non-tautological ways. This has not yet occurred. 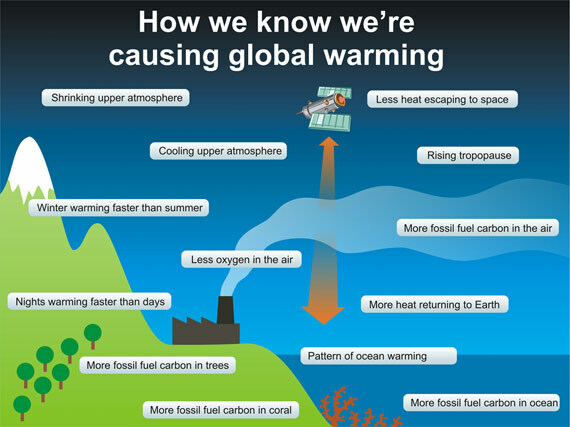 ‘Climate Science’ is a cargo-cult science. You mean accurate predictions like this? You just power owned them!